Aquatech BioEnergy's Engineering Department is on the cutting edge of new technology. 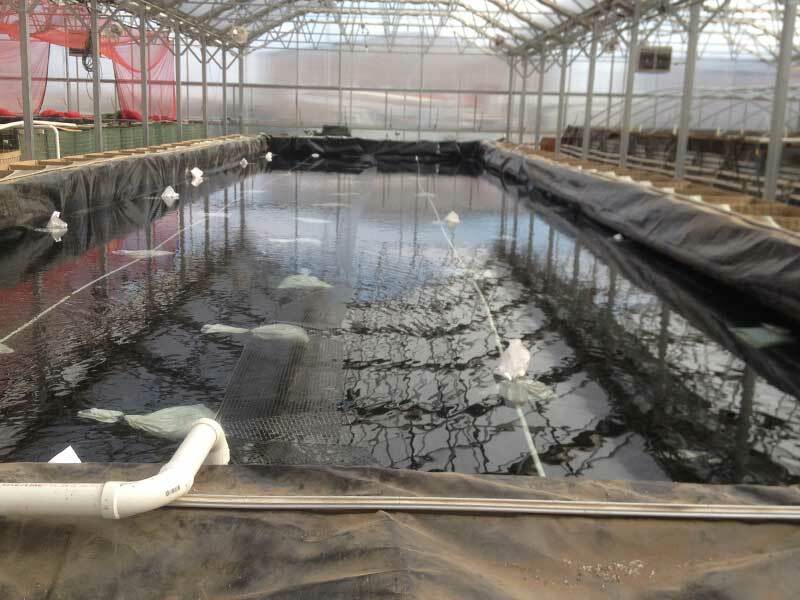 Aquatech BioEnergy has developed BioReactors for the commercial-scale growth of aquatic plants and other species under hydroponic conditions. These are enclosed pools of water measuring 3 x 21 x 99 ft on the inside, and are constructed of storm barriers of the type designed to replace sand bagging of levees under pressure. The liquid contents of BioReactors can be separated into different layers that can be independently controlled for temperature, pH, oxidation/ reduction potential, ion concentration, conductivity, dissolved mineral content and other variables. Anaerobic processes can be separated from aerobic processes to manipulate growth of microbial species. An important barrier to the purification of secreted ethanol has been the separation of the dilute, secreted ethanol from the growth medium. Aquatech BioEnergy has developed an Ethanol Vaporization and Concentration (EVAC) system to solve this problem. The Aquatech BioEnergy EVAC accepts influent from the lower stratum of the BioReactor, which contains the secreted ethanol, and is driven by inflow of dehydrated Nitrogen gas “microbubbles”. The hydrated gas carries concentrated ethanol to a condenser from which it is transferred to a traditional ethanol polisher and then to a storage container.